Another 30 ways to wear, with an update on #6monthsWithoutShopping. You might find it hard to believe but that's the 5th month of my no shopping challenge completed with no shopping! Of course now I've shared the secret for how I've been distracting myself from shopping for these 5 months - I was working on an eBook in any spare time I had. Not that you get spare time often with two boys under 3! This month I think I've been more tempted by things, there have been so many sales. I'd usually use a sale as an excuse to jump online to 'just take a look', but I've distracted myself with doing something for the book instead so I've never had the time to think about purchases for too long. It's also easy to talk myself out of wanting things when I realise I've nearly done 6 months without shopping and I'd hate to go and spoil it so close to the end by buying something! And now, 30 wears. Still finding it difficult to identify clothing that I've worn 30 times, I'm featuring another accessory. The Rebecca Minkoff MAB mini that I've worn over 60 times in the 4 years since I bought it. A surprisingly low number given that when I get it out of its dustbag I tend to wear it for a few days in a row. It's such a good bag I usually wear it for a while before thinking I need to enjoy some of my other bags again. I bought this Rebecca Minkoff mini MAB bag back in 2013, before the boys were born. At the time I liked the flexibility of the bag as you could wear it so many different ways: over the shoulder, handheld, and cross body. It's only now I'm chasing toddlers that I'm really appreciating the cross body feature for more than just a different look, it's a very practical choice for a mum bag! 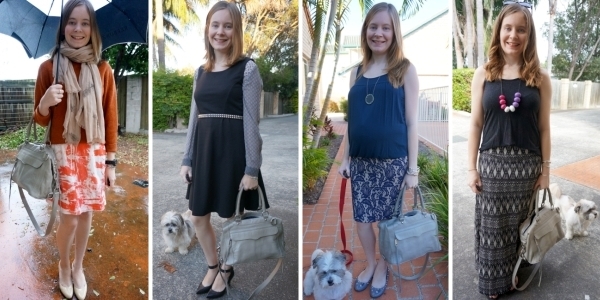 The neutral grey mini MAB goes with so many different outfits and I've worn the bag for many occasions too, as you can see in the 30 ways I've worn it below. The classic shape and neutral colour make the MAB satchel a great choice for the office! It's just large enough to fit in all of the usual things I carry as well as a small notebook, water bottle and snack - essentials for meetings across the city. While my workplace has a business casual dress code, I think this is the kind of bag you could easily wear in a more formal office too. The beauty of the Rebecca Minkoff MAB satchel is that while it works in a more formal office environment with a pencil skirt, you can dress it down nicely with a maxi skirt or maxi dress for the weekend or stay at home mum style. The rectangular satchel shape of the bag slouches down nicely so it's just as suitable for a casual outfit too. The benefit of neutral grey bag is that it goes with anything, so you can be a little more adventurous with your outfit. You can easily try some print mixing and pair different clothes together, as the bag won't clash with whatever you're wearing. Stripes and skulls, stripes and Aztec print, stripes and stars and even polka dots and skulls. I love my colourful handbags, but you can't beat a nice neutral sometimes! Just as a grey bag works in the outfits above when you are wearing different prints, it's the perfect neutral for a more colourful outfit where you're trying a new colour combination. 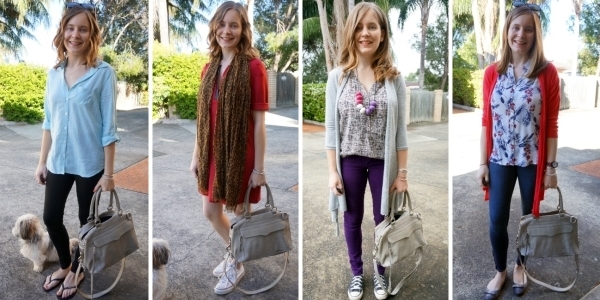 I'm trying to add more colour to my outfits so when I'm wearing two colours I like to opt for a neutral bag. Blue and grey work so nicely together, and continue to do so even when you add in other colours like purple, yellow, pink and red. Of course you don't have to be paring different prints or colours together to wear a neutral bag. A fail-safe grey bas is a good accessory with a bright printed dress too. 'Pick a colour from the pattern on the dress to accessorise with' is wise advice, but you can never go wrong wearing a colourful printed dress and a classic neutral bag. A you've seen above, an outfit with prints or colours or combinations of them both can benefit from a neutral handbag. 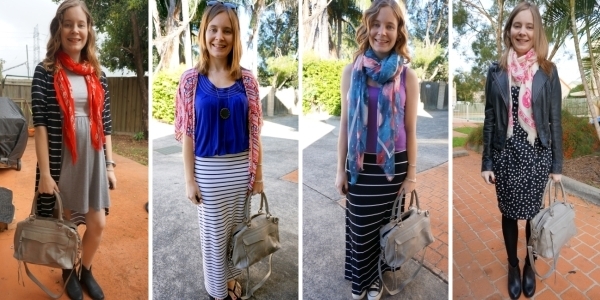 You can try different prints and colours together, or try something a little simpler and wear a monochrome outfit. Black, blue and even orange, a grey bag can compliment a monochrome outfit nicely. Jeans and a tee will always be a go-to outfit for me. A grey tee and denim is a simple outfit, and the grey Rebecca Minkoff MAB works nicely with it too, simple and stress free dressing. I haven't had any denim transfer on the grey leather, even when the bag rubs against my jeans when I wear it cross body. I do spray all my bags with a waterproofer before I wear them though. As you've seen above, a neutral grey bag with multiple ways to wear it like this one really will go with everything. You can wear it with jeans, colourful outfits, prints, dresses...it works in so many different outfits. You can wear it year-round, and to multiple activities. It's one of those wear to work, wear on weekend pieces that I wish I had more clothing equivalents of in my wardrobe with my upcoming return to work after maternity leave. If you've been considering a Rebecca Minkoff bag and haven't been sure which one to get, I highly recommend snapping up the MAB on sale. It's on sale right now at Shopbop, in tan too. It's the first handbag Rebecca Minkoff sold back in 2005 and it really is one of those classic pieces. The video below shows just how much it can comfortably fit inside! Want more outfit inspiration? 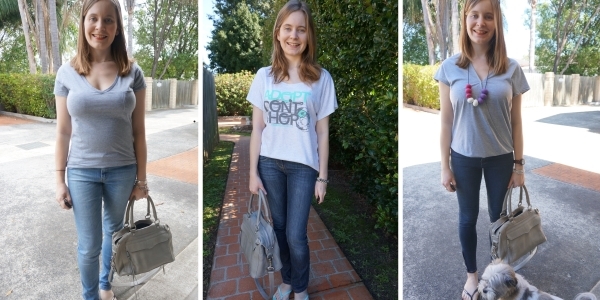 All 60+ ways I've worn the Rebecca Minkoff mini MAB on the blog. 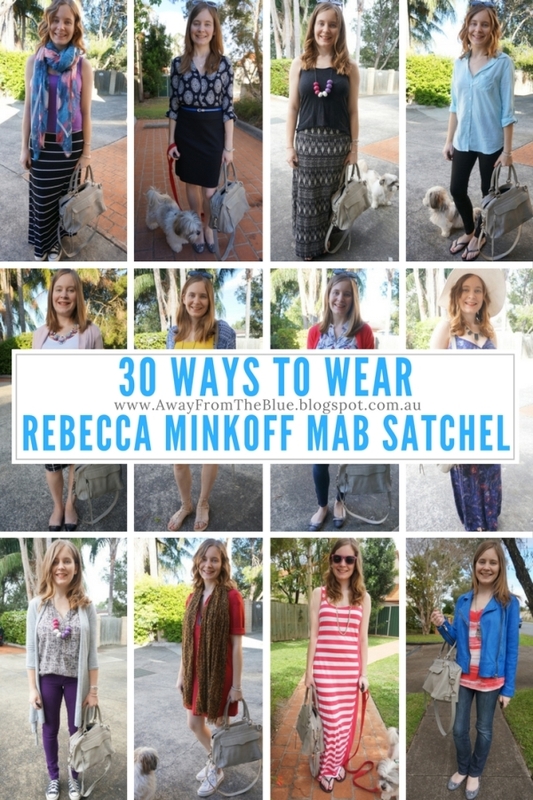 ❝ 30 ways to wear the Rebecca Minkoff MAB satchel! - Click to Tweet. I hope you found this post useful. Don't forget to share or pin! 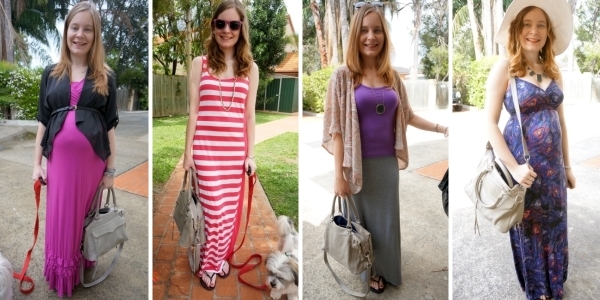 Linking up with What I Wore, Oh Hey Girl, Style On The Daily, Budget Bloggers, Thursday Moda, Fashion Files, Fun Fashion, Fabulous Friday, Passion for Fashion, Flashback Friday, Weekend Wear, Friday Favourites, Style Sessions, The Ultimate Rabbit Hole. Wow Mica that is so impressive. I can safely say I've spent 5 months excessively spending hahahaha. It's actually not funny. I'm supposed to be saving for two trips this year. Ones already booked but the second is in doubt now because I think all this silly spending is catching up to me. Booo! It's so easy to get into a habit of shopping regularly, it's been interesting trying to stop the habit! Hi cute bag!I like the different ways you styled it and how versatile the color is! Have a great rest of the week! I am very proud of you, and very proud of the way you distracted yourself. Not only so long without shopping, but a book to share! Thank you! I'm so proud I managed to produce it, a real labour of love! It's great that you've gotten so much use out of the MAB Mini! I actually have a MAB (full size, did not come with the long leather strap). It was my first ever truly splurge-y fashion purchase, which I made in my senior year of college, and... it was kind of a dud for me. The MAB full size is just a bit too big for my height, and the lack of long shoulder-strap combined with how heavy it is makes me not want to reach for it that often. I keep wanting to sell mine, but never got around to it. Oh such a shame the MAB wasn't right for you! I find the MAM perfect for my petite self, the shoulder strap is such a good feature! Mica, I am so proud of you! You have done an amazing job with the shopping ban. You even surprised yourself. I know I've curtailed my makeup spending. I'm reviewing everything I have before buying a whole lot of other things. That is a great bag! I swear Rebecca Minkoff needs to hire you as a spokesperson. You have so many of her bags. It's very versatile and can be used in so many ways. Thanks for showing. haha yes I'd love to work for Rebecca Minkoff! I do buy a lot of her bags....thank you for your encouragement, good luck with your spending changes! You are so close to your goal!!!! I am still so blown away you've managed to create this little task for yourself and stick with it. It's inspiring to say the least as we could all benefit from living this way and trying to make our existing wardrobe work for us. I'm so glad it's inspiring you! :) It's not always easy but I've really benefited from it! I love this bag!! t is one I have considered getting myself, and seeing how much wear you have gotten out of it makes me want it even more. SO proud Mica ! you've done so well and I think that you have just mentioned the key: stay busy. Find a project, give yourself chores, focus on other things and you will not be focused on shopping. Great job. Yes, distraction is my best coping mechanism! I've been wondering how you don't shop! haha! It's amazing you wrote an e book let alone not shop for 5 months, I don't know how you do it. I am thinking about taking a break for no buy July though....we'll see if I can work up the courage to do it! haha yes, having another project to focus on helped slow my spending! I love this bag! I've been on the lookout for my perfect lighter one as I have so many black bags! Love how you've styled it too, I really should stop buying new things and look what's in my wardrobe! Something like this is definitely perfect as a single bag! I'm a multi bag girl though haha! That really is a great bag! 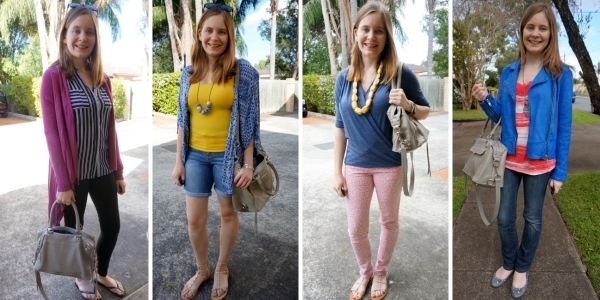 I love the color and versatility of wearing it so many ways! We should all have a bag like that! You are my hero! Wow!!!!! I impress myself when I go a week without shopping. No joke I really need to do a shopping ban, love that you used your time so productively. So awesome! I think I see a gray bag in my future! Never think much about my purses but decided to clean them out and toss a few oldies this week. Now I have a great excuse for looking for a new gray purse. Thanks for linking up with Jennie and me for Fabulous Friday. Love Rebecca Minkoff bags, and that satchel goes with everything! Wow, congrats on making it to five months! I've been trying to shop less, but have bought some stuff here and there haha. 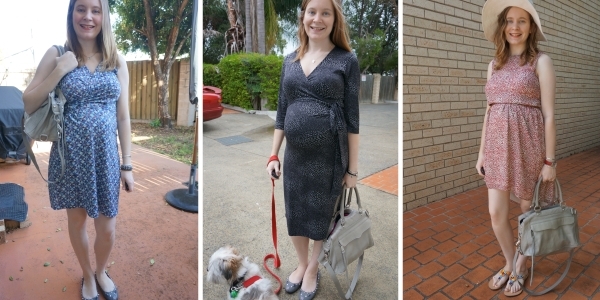 I love seeing these 30 Wears posts--it makes me want to think more about how much wear I'm getting out of what I have. I love how you always treat your bags as a part of your outfit too. I usually carry the same bag all the time (a big leather tote to work, my backpack style diaper bag everywhere else) but I'd like to mix it up more. I like to switch up my bags often to justify having so many, ha! You are doing so great with your shopping ban - I'm impressed! I love that bag and seeing all of this styling inspiration! Such a versatile bag, the shape and size looks like something I would definitely use a lot of but I'm still besotted by my Neverfull so will probably be a while before I pop onto another daily bag. That's awesome! I don't think I've ever went that long without shopping! And I love that bag! That's what I call a versatile bag! I only have one bag so I get a lot of use out of it! And high five for five months without shopping. Your powers of distraction are tip top! Wow, this is super impressive! A beautiful and versatile bag, as you have well documented here! 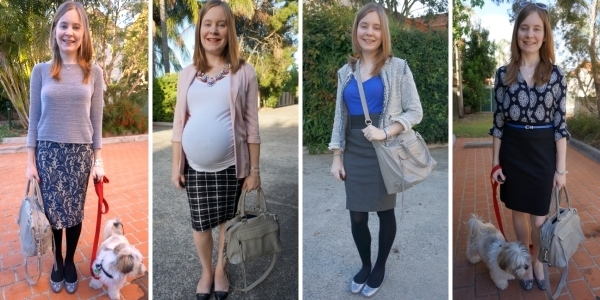 Thanks all for your kind comments - and encouragement with my no-shop journey!